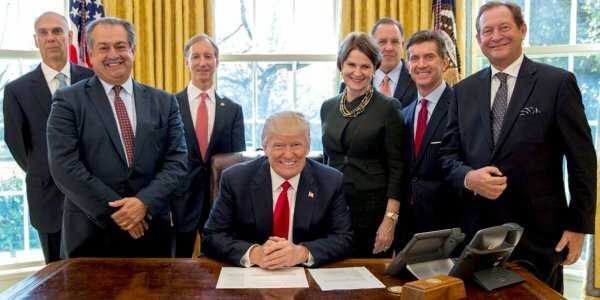 Waterkeeper Alliance said that Trump’s latest order will only help destroy agencies and regulations that are designed to protect people and the environment. For instance, rules that ensure that tap water does not contain pollutants that cause cancer or brain damage could be on the chopping block. But Trump’s first month in the White House has been a nightmare for environmentalists and the planet alike. He has appointed a cabinet full of polluters with ties to the fossil fuel industry, and signed executive orders to push through the Keystone XL and Dakota Access Pipeline and nullify Obama-era climate policies such as the Stream Protection Rule.
? Texas School Triples Recess Time, Solving Attention Deficit Disorder Costa Rica Becomes First Latin America Country To Ban Hunting For Sport ?